The Nifty Thrifty Lady: Can Picky be Cheap? I love my son to death and I love my husband to death but their eating habits are...well...terrible. I never thought of this in a frugal way until I was creating my Family Staples List one day. My son-"I really do not want to try this, I sorta like it but no, not really it tastes yucky." Now my husband-" I'm sorry is there chunks of something in this? Yes? Oh, well I don't like it then." The poor chefs would leave the stage baffled because they gave gourmet food to the guys that eat at dinners and dives! I am not totally complaining about my families eating habits. It has its high points a) I can make the same three things every day and they will eat it b) if there is a super great deal on a food they like I just buy the store out of it! (sharing this with you all is making me laugh just so you know!) My point to this post is a picky eater be a cheap eater. Over the past 10 years I have adapted to the way my husband eats: if a recipe calls for an onion, onion powder is the substitute, the same for peppers or minced garlic. If I am to use tomatoes they go in the food processor first. If there are one or two ingredients in the recipe that I know they will not like then I leave them out (as long as it is not going to change the whole idea of the dish). When it comes to vegetables I either buy fresh and just get enough for me or buy the smallest canned ones I can find. 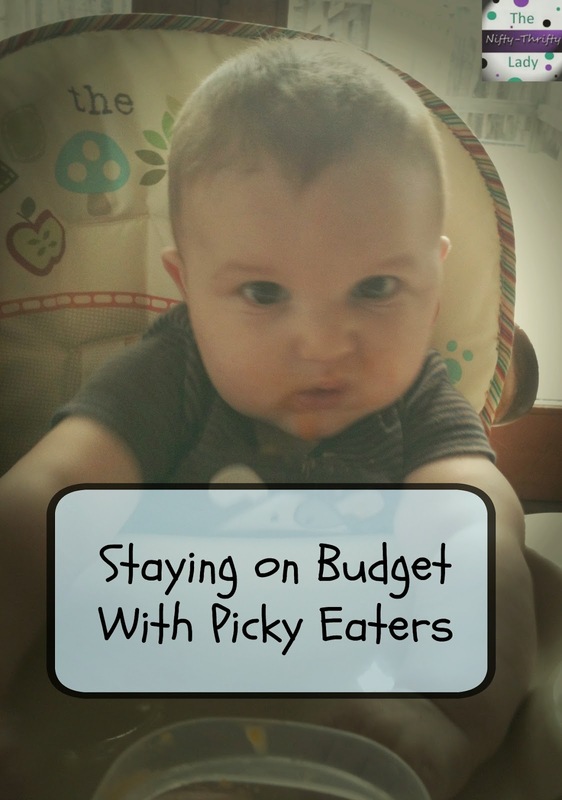 Picky eaters are part of the world and a good chef knows how to please everyone on even on a budget!